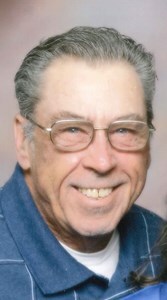 James "Jim" L. Mattingly , 69, of Irvington, Kentucky, passed away on Tuesday, December 4, 2018. James loved his family and spending time with his grandbabies, family, and friends. . He also enjoyed spending his time tinkering with cars and lawnmowers, and fishing when he could find the time. He was a gentle and kind soul who will be deeply missed. He was born on February 9, 1949 in Louisville, Kentucky to Wallace and Rose (Ballard) Mattingly . He is preceded in death by his parents. Jim is survived by his loving Wife of 52 years, Sharon Mattingly, Daughter, Jami (Anthony ) Robinson, Daughter, Kari (James) Wimsatt, Daughter, Michelle (Troy ) Clemons, Grandchildren, J.R. Mattingly (Tiffany), Mason, Hunter, and Savannah Clemons, and James and Jonathan Wimsatt, and the first Great Grandchild who is expected in June, Brother, William "Billy" Mattingly, and Sisters, Audria Tanner (Dennis) and Linda Coulter. Visitation will be from 3:30 pm to 8:00 pm on Monday, December 10, 2018 and from 8:30 am to 11:30 am on Tuesday December 11, 2018 at Newcomer Cremations, Funerals & Receptions - Southwest Louisville Chapel, (10304 Dixie Hwy). His Funeral Service will be at 11:30 am on Tuesday at the funeral home with burial to follow at Evergreen Cemetery in Louisville. The family requests that contributions in Jim’s memory be made to St. Jude Children's Research Hospital. Add your memories to the guest book of James "Jim" Mattingly. Jimmy was a good neighbor we will miss him. He was my buddy when he was the loader man at Aggrock. I gave the man a lot of hell and he would give it back to me. He will be missed. ?? I love and miss you Uncle Jimmy. You were one of the best.